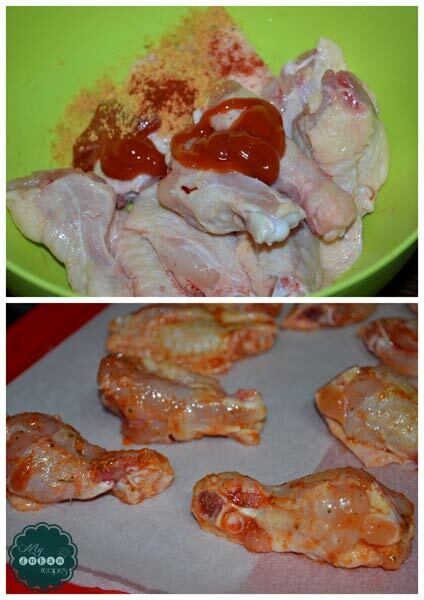 3.Mix the ketchup, chili powder, garlic powder, and some salt and pepper in a medium bowl or resealable plastic bag. 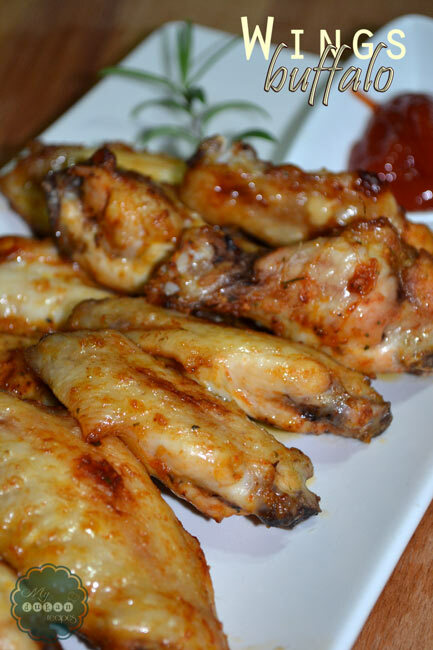 4.Toss the wings in the seasoned mixture to coat well. 6. 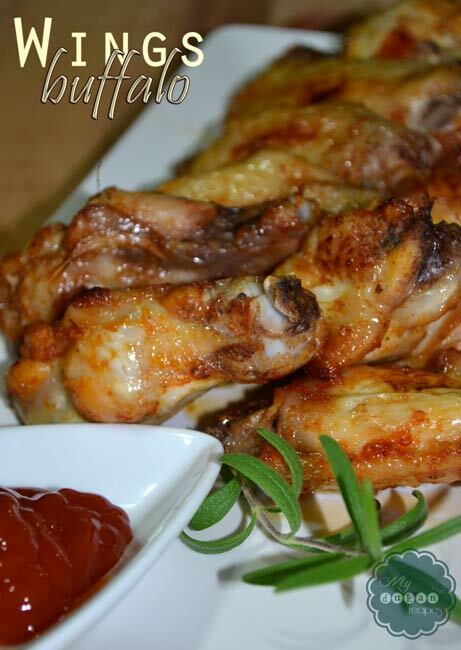 Bake the wings on baking sheet until very tender and the skin is crisp, 20-25 minutes.